Danish author; born in Copenhagen June 17, 1869; educated at the University of Copenhagen (Ph.D. 1898). 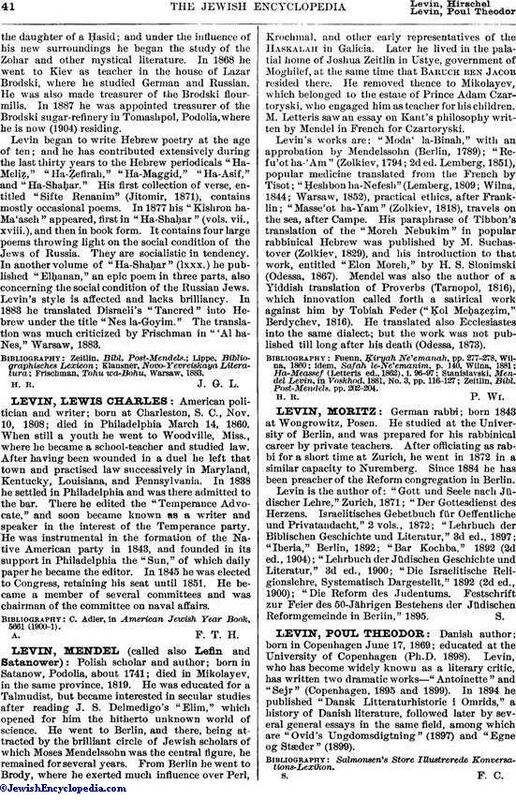 Levin, who has become widely known as a literary critic, has written two dramatic works—"Antoinette" and "Sejr" (Copenhagen, 1895 and 1899). In 1894 he published "Dansk Litteraturhistorie i Omrids," a history of Danish literature, followed later by several general essays in the same field, among which are "Ovid's Ungdomsdigtning" (1897) and "Egne og Stæder" (1899).